Blue Valley Nursing Home is a leader in South-Central Nebraska’s nursing care services, providing a variety of services for all stages of life as part of our Circle of Care Promise. Blue Valley Nursing Home is ever mindful that our patients are people first, and our mission reflects this core belief. Your short-term stay will begin with careful evaluation of your medical history, along with discussions with your physician, family and yourself. We will then develop a plan to help you make the transition from hospital to rehabilitation to home. We will work together as a team to enhance your daily living. Your team of skilled caregivers might include: physical, occupational, speech, and respiratory therapists, skilled nursing services, social services, discharge planning, a registered dietician, and an activity director. A decision to move to a long-term care facility can be difficult and overwhelming. At Blue Valley Lutheran Homes, we strive to make your transition between home and our facility as easy as possible. Our caring staff works together to make new residents feel safe, comfortable and welcome in their new home. 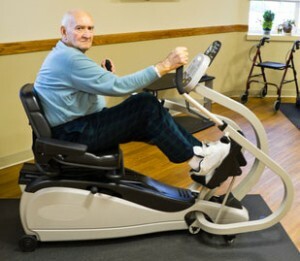 Our long-term care residents are encouraged to participate not only in the care they receive, but also in the many daily activities that will help them make new friends and create an environment, just like home. Our adult day care services offer your loved ones an opportunity to be socially and physically active in an environment that is safe, comfortable and stimulating. Seniors generally attend adult day care on a scheduled basis which can provide relief to caretakers, such as family members or caregivers. Seniors who attend adult day care can benefit from the increased companionship and social interaction with others. We typically provide social activities, meals and various health care services that can range from medication management to physical therapy. If you or your loved one is terminally ill, you may consider hospice care services at Blue Valley Nursing Home. Hospice care is intended for people who are nearing the end of life. Hospice care services are provided by a team of health care professionals who maximize comfort for a terminally ill person by reducing pain and addressing physical, psychological, social and spiritual needs. Unlike other medical care, however, the focus of hospice care isn’t to cure or treat the underlying disease. The goal of hospice care is to provide the highest quality of life possible for whatever time remains. Hospice care is for a terminally ill person who’s expected to have six months or less to live. This doesn’t mean that hospice care will be provided only for six months, however. Hospice care can be provided as long as the person’s doctor and hospice care team certify that the condition remains life-limiting. Many people who receive hospice care have cancer, while others may have conditions such as heart disease, dementia or chronic obstructive pulmonary disease. Enrolling in hospice care early may help you or your loved one develop a strong relationship with the hospice staff, who can help with preparation for end-of-life needs. 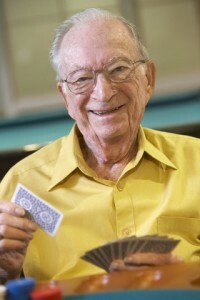 To find out more about Blue Valley Nursing Home, please click here.